I’ve been weighing up the different options for potential cargo bikes and boxes for “last mile” style of delivery to work with parcel carriers. This style of delivery is based upon drop efficiency, to maximise the amount of parcels you can deliver per hour. I’m focusing on the type of box rather than the bikes in this post though although they both play a big part in this decision on what equipment to use for this style of delivery. Weather proofing again is relatively easy, most off the shelf boxes or custom made boxes for cargo bikes whether fiberglass, metal or flight cases are all weatherproof, adding a vinyl wrap for advertising again will help secure it up against heavy rain. Aluminium seems to be the best option material wise, it’s light, hard wearing and secure. Being metal it does give a good impression of it being as secure as a van and will discourage theft further. We did look at fiberglass but it seems very fragile, not too hard wearing and it maybe tricky to fit locks too as it flexes so much. Flight cases are insanely heavy, which as cargo bikes have a limit to what they can carry keeping the box lighter is more favourable and will save on frame damage from over loading over time too. This leads me to capacity, lead time and cost…. I’ve been looking at 2 wheeled cargo bikes due to our situation in Oxford favouring 2 wheeled bikes vs three wheeled trikes. We’ve looked at cargo bikes which can be bought readily in the UK at the moment and based them on the best prices we have found but please update me with prices if you’ve had different. Im only going to include box options that already tick the boxes of security, material or weather proofing as simply all cargo bike boxes needed for this type of delivery should meet these. It doesn’t have an off the shelf aluminium box, we have some old ones which when we started outspoken delivery in Cambridge let us buy off them for next to nothing and we’ve since fixed them up. These are roughly 230 litres. We originally ruled out the fiberglass box for the 8 freight, as an alternative to the aluminium box but i’ve decided to include it as it’s security is being improved and the fact it’s so light but still hardy compared with aluminium i can’t pass it up. It’s 332 litres, £600 and has a lead time of a week. There is a few options when looking at the bullitt bike, We looked at two off the shelf aluminium boxes which are readily available usually immediately but it depends on stock levels. This seems to have the same box as the bullitt in shape and design so i would assume its of the same capacity at 200 litres and costing £295 with roughly a 1/2 week lead time if there out of stock. *Outspoken Norwich have let us know about the box they use, waiting on some more info to include it as an option but it’s est at 240 litres. Urban Arrow – Bike (£3,859)+ Box = £? 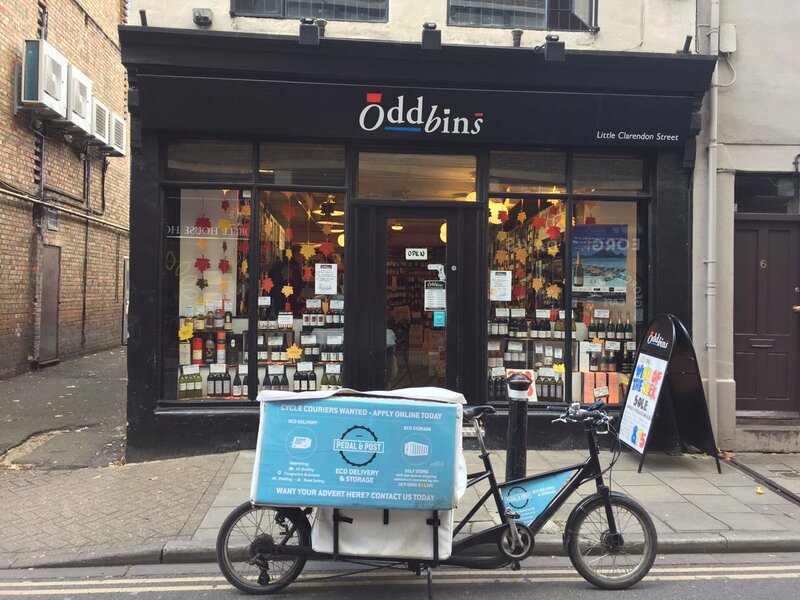 We spoke to box bike delivery based in stevenage who currently use the bakfiets, there boxes are 385 litres which is huge, the boxes where custom made costing £330 at the time and open on the side. **Douze got in touch with the details about there box and bike too. They have an aluminium box with a capacity of 212L or a specially made one with a capacity of 250L at 684 Euros/ £614. I’ll take the larger of the two for the comparison. I’ll turn this into a beautiful table at some point and it’d be interesting to pair this together with a bike comparison too which i believe some other operators are working on as i type this but i hope with continued communication with the manufactures with what we need will improve this relationship further over time as our industry grows. We’re using the Zarges 40706 case on the Maderna truck, which has a capacity of 240L though you will have to add your own lock because the supplied latches aren’t great for frequent use. The article does go back to 2016 so things may have changed, I know the bullitts have increased as have the 8 freights in cost but I believe the bakfiets is the the “long” version and is an off the shelf standard model. It’s very cost effective as a cargo bike and I think has come down in cost mainly due to it being the market leader for family’s moving kids as well and thus sells bigger volumes than other cargo bikes.